It is made from .925 sterling silver and gold overlay. 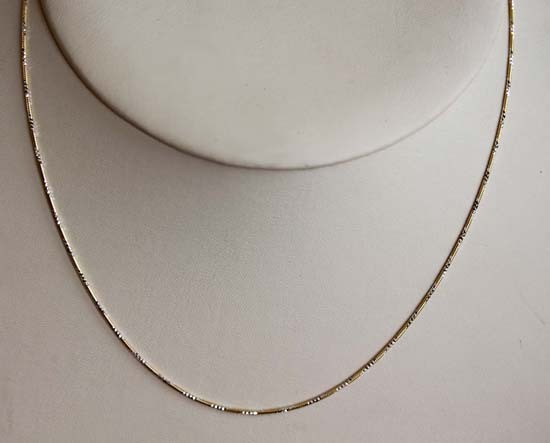 The outer layer is gold overlay and the inner layer is regular sterling silver which gives it a beautiful sparkle. The chain is about 18" in length. The chain is made in Italy.